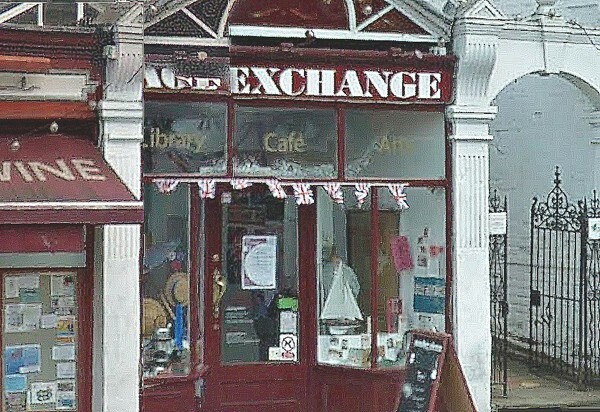 Blackheath Community Library is run by the Age Exchange, a long standing local charity, and cosy school trip destination! Age Exchange staff manage a team of 22 regular volunteers, and together they keep the library open full time, 9 hours a day, 56 hours a week. This breaks down to 16 shifts (3hr stints) per week which takes a serious amount of effort. While the entire village may have protested the ending of Lewisham’s library service provision, Blackheath mostly has its retired community to thank for keeping the treasured service running. Students and young parents also number amongst the volunteers, slipping in shifts where they can. But people have busy lives with families, there are illnesses and appointments, and so Age Exchange staff have to step in to cover missing volunteer shifts in addition to their regular jobs. The key to making Blackheath Library work is its location, in the middle of the village, inside the cafe and the Age Exchange Reminiscence centre. There is regular foot traffic and it makes covering volunteer shifts possible. If the community centre and cafe were not there, covering missing volunteers would be nigh on impossible meaning likely possible closures at short notice. Its important to also flag that Manor House library is much bigger than Age Exchange library which can be run with just one volunteer at any one time, unlikely to be realistic for the larger Manor House. The reality is that the volunteers at Age Exchange, despite training, often can’t get to grips with the computer system and borrowing or returning books can be a slow and frustrating process. The stock is not regularly updated with current releases because there is a minimal budget for purchasing stock, and finding new volunteers is a struggle so it inevitably falls to a few people to keep it going. Hardly an ideal model to follow. Very valid points all. They must be taken into account. Local residents have also pointed out there is still a big mortgage outstanding on Manor House Library after the refurbishment. And the building running costs of course. We really appreciate the comment as this confirms what we hear from other community libraries. They become community centres with some books. Manor House, Forest Hill are completely different to the Age Exchange. Torridon Road matches what was at Sydenham and Crofton Park. Sir Ian Mills (Blackheath Village Library) spoke at our consultation meeting on Monday and obviously did not try to influence Lee Green Ward, however he did advise very careful consideration and looking very carefully at the detail. Sir Ian at least set up the new centre in a professional manner, but it is minute compared with the Blackheath former library. The Age Exchange also received £200,000 of public money for providing space at the Centre. That would have paid the rent on the former building for 3 years. Sometimes volunteers cannot even tell you when councillor surgeries are held! Friends of Manor House Libraries. Under the terms of their lease, Lewisham council could have rented out the upper floor at the former Blackheath Village library, thereby halving the annual rent. Rather than give £200K to the joke of a library at Age Exchange (which, incidentally, is in the borough of Greenwich), they could have kept the proper library going to a further 6 years, not 3. That would have given everyone plenty of time to come up with ways of saving the measly £30K or so pa required to keep the library open. But Lewisham’s policy all along has been to reduce book stocks and sack staff. No books + no staff = no libraries. This is an ideological decision which has nothing to do with money: Lewisham does not want people to have access to books.